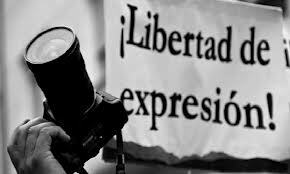 Organizations as well as nearly 30 female journalists and photojournalists have energetically condemned the criminal acts committed against Carina García Sosa, correspondent of MVS Radio; Jazmín Gómez Ortega, president of the Oaxaca Press Group (GPO), and Saraí Jiménez, journalist for ADN Sureste, who were assaulted and robbed of their work implements in the months of July and August. They have called on Governor Gabino Cué and Secretary for Public Security Alberto Esteva Salinas to provide the necessary guarantees for communicators to continue developing their work in the state. These journalists have been following the teachers’ movement, documenting the series of mobilizations carried out by Section 22 as well as the destruction of the offices of Section 59 of the SNTE, or the National Educational Workers’ Union. On 19 August, the day on which was registered 2 of the attacks just mentioned against women journalists, the graphical journalist Vico Miravete was subjected to assault and robbery by police as he was covering a social protest outside the Del Carmen neighborhood in Tuxtepec city. The previous day, a member of the municipal police decided to photograph and intimidate a reporter from Noticias as he was investigating the case of someone who had been detained by the police patrol. This entry was posted on Tuesday, September 2nd, 2014 at 4:05 pm and is filed under APPO, Disappeared, Human Rights, Human Rights Defenders, Mexico, Mining, Oaxaca, Paramilitary, torture, Women, Youth. You can follow any responses to this entry through the RSS 2.0 feed. You can leave a response, or trackback from your own site.